Jenny Yates was born in St. Louis, Missouri. She moved to Springfield, Missouri to attend college at Missouri State University. An interest in health and wellness landed her at Professional Massage Training Center (PMTC) where she began her career as a massage therapist. Today she is the Owner and Manager of Precision Wellness and Massage. When she first moved to Springfield, Jenny attended Missouri State as a flute performance major. She has always been really fascinated by music therapy, and how music can create change in the body and mind. After college, a battle with persistent migraine headaches led Jenny to continue her education of the mind and body through the art of therapeutic massage at PMTC. After experiencing the unimaginable benefits of consistently receiving quality massage therapy, Jenny was convinced that massage was her calling. Since finding her own relief, Jenny has gone on to help clients relieve several other types of pain as well. She regularly attends continuing education workshops and events to ensure she is always offering the latest industry knowledge and techniques. 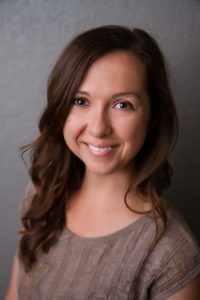 Jenny is well-versed in Neuromuscular, Thai, Relaxation, Pre-natal, Temporal Mandibular Joint Dysfunction (TMJ), Sports, and Deep Tissue Massage techniques. Jenny studies hard to give all of her clients the best possible treatment and maximize their benefit for all massage styles and she is Basic and Performance RockTape certified. 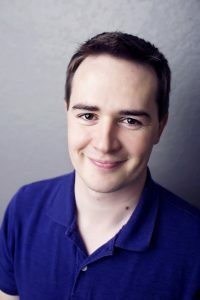 Originally from Houston, Texas, Travis studied massage with Steiner Education Group in Utah and came to Missouri in 2012. He has been practicing deep tissue massage in his own way for over 5 years. He attended MSU as an exercise and movement science major, and still loves to talk about anatomy with anyone who cares. Travis believes in helping and serving others whether it is part of a church activity, helping his neighbors, or assisting people with muscular pain. It was this desire to help others that lead to his decision to become a therapist in the first place. Travis’ massage technique is a unique brand of “hurts so good” and “I feel so much better”. While he is best known for his deep tissue massage and gait analysis, he also practices sports massage, prenatal, cranio-sacral, and reflexology. He regularly employs client education and by giving his clients something that they can take home to assist with pain or improve quality of life. When Travis has spare time, he practices Kung Fu (even if he isn’t very good), plays video games (or any games really), meets new people and does DIY projects around the house. He is Basic and Performance RockTape certified. A Springfield Native, Chloe is a dually licensed practitioner with the Health and Wellness Field. In 2018 she graduated from Well-Spring School of Allied Health, followed by her Reiki 1 & 2 certification through Reiki Missouri. She specializes in Deep Tissue, Pre-Natal, Energy-Work, Therapeutic and Relaxation Massage. Chloe became a Licensed Esthetician in 2015 through MCOC, where her knowledge of specific skin care became abundant. Through this study, she learned about essential oils, plant-based products, microdermabrasion, body treatment, and peels. She sees the true potential in her client’s confidence when they feel their best. As someone with sensitive skin, she has a gentle approach to her care. The most rewarding part of being a part of the Body-Work community is creating an authentic connection with each client while being a facilitator in each personal healing process. She believes trust is the foundation for helping make a positive impact on someone’s life and how they feel through their skin, and in their body. In her own time, Chloe enjoys hiking, hanging with her family, traveling, and being involved with Flow Arts. Amber grew up in Nixa, MO and has lived in the Springfield area her whole life. 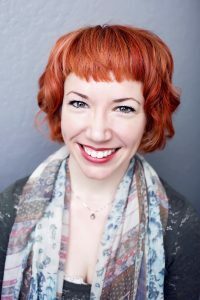 She slowly pursued a degree in Literature and spent ten years working as a Grant Writer and Tech Writer before finding her passion in massage therapy. Her other passions include being outdoors, live music, and yoga. Learning about the body and how to foster optimal health has become Amber’s favorite pastime since she was introduced to a natural health coach in 2003. At the time she experienced chronic headaches and body aches and was in a prescription loop that offered no relief. 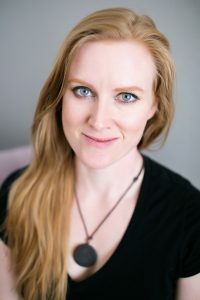 Her experience of chronic pain and headaches and her research into nutrition and natural health led Amber down the path to the healing art of massage therapy. Amber understands just how devastating chronic pain can be and strives to help her clients find relief and solutions. One thing Amber loves most about the field of massage is how much there is to learn. 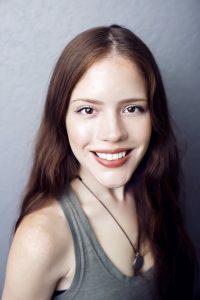 She has studied energy healing for nearly ten years and often incorporates those techniques into her massages. She takes as many continuing education courses as possible to keep growing and expanding her knowledge and ability to help her clients. Amber practices Neuromuscular, Thai, Energy Work, Temporal Mandibular Joint Dysfunction (TMJ) treatments, Deep Tissue Massage, and Myofascial release techniques to provide a healing and therapeutic massage experience. Her focus as a massage therapist is to eliminate muscle dysfunction and imbalances and reduce pain! Amber is also Basic and Performance RockTape certified. Serenia was born in Covina, California and made the move to Springfield in 1993. Throughout her whole life, she has always been fascinated with skin care and skin care products. This is what led her into the field of Esthetics. She always felt that taking care of her skin was important and it just made sense to learn more so she could help others with their skin care needs and concerns. In 2004 she graduated from Missouri College of Esthetics with an advanced training in microdermabrasion and peels. In her spare time, she loves to work out and stay in shape. She enjoys CrossFit, and outdoor activities like hiking, camping, floating and fishing. Karissa Stoneburner is from the Ozarks and moved to Springfield to pursue her education in massage therapy. She graduated from Professional Massage Training Center in 2001, and has more than 15 years massage therapy experience. She practices Swedish, deep tissue, hot stone, sports, and prenatal massage. Karissa developed her passion for holistic health at a young age, working as a chiropractic assistant in her grandfather’s office. Observing his interactions with patients and genuine care for their well-being inspired her to want to help people and pursue a career in the health field. Experiencing the benefits of massage for herself has amplified her desire to help others reduce stress and muscular tension, ultimately enhancing the overall quality of life for her clients. 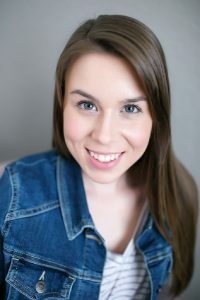 Karissa believes there is a connection between emotional stress and trauma and physical pain and symptoms. She enjoys working with her clients on this level. Karissa enjoys bird watching with her husband, camping, kayaking, and just being in nature. She also really enjoys playing the piano. Samantha Burton is a 2018 graduate of Wellspring School of Allied Health in Springfield MO. Her passion for massage and bodywork lead her to achieve certification in pediatric massage and autism spectrum disorder massage. Along with specializing in pediatrics, Samantha hopes to broaden her range of services within the next year. She enjoys camping, hiking, canoeing, and playing with her 3 animals. Stacy Fisher began her journey into the healing arts at the young age of 18. Having never experienced any bodywork before, she received a structural therapy that opened a world of new possibility. With the results received from this Work, Stacy began forming a dream for her future that would come to fruition in amazing ways. Before the experience of supreme relief and ultimate relaxation, Stacy hadn’t a thought for the wellbeing of others. After the experience, her path was set, the goal was clear; Stacy would help people in this way and that would be the meaning of her life. Stacy attended and graduated from Professional Massage Training Center in Springfield, Missouri in 2006, specializing in the following: Swedish Therapeutic Massage Therapy, Precision Neuromuscular Therapy of the Spine and Thorax, Pre-Natal Massage, and Relaxation Massage. Stacy then went on to study at the Bionomics Health Institute where she learned Applied BioMechanics and Cranial Sacral Therapy. 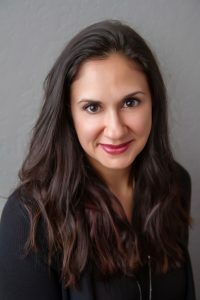 With a love of learning, Stacy regularly attends continuing education and is also able to provide Lymphatic Drainage Massage and Acupressure techniques. Stacy also completed the 200 hour Teach To Inspire Yoga Teacher Training under Beth Spindler in 2013 and is a certified RYT200. Schedule an appointment with Stacy Fisher and start a process your body has been waiting for You to begin. Darlene was born in St. Louis and raised in south St. Louis County. 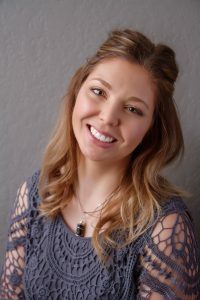 After graduating from Mehlville High School, she came to Southwest Missouri State University (now MSU) and received a Bachelor of Science in Education degree with a double major in English and Theater. Darlene taught English, Speech, Drama, journalism (Yearbook for 21 years) and Broadcasting during the 25 years she spent as a teacher. 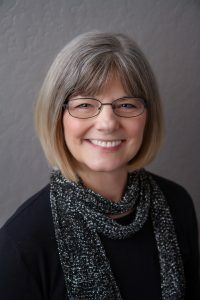 After retiring from her teaching career, Darlene was a receptionist for an insurance firm and the Nixa Area Chamber of Commerce, and now serves in that capacity at Precision Wellness. Darlene is in her third term serving the City of Nixa as a councilperson for District 3. Darlene has four fantastic kids and nine gorgeous grandkids. She loves to travel and every year she usually coordinates a cruise to enjoy with her friends. God is great, life is good — regular massages make it even better. Kristen Singer has always had a passion for helping others and putting a positive spin on things. Growing up she wanted to be a social worker. After the birth of her now 2-year-old daughter, she decided she wanted to help others through a different path. She started helping others with their health and mindset through plant-based supplements, diet, and yoga practice. 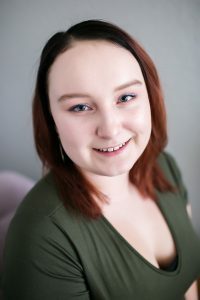 She is the receptionist here at Precision and loves to help clients feel welcomed, therapist days go as smoothly as possible, and being the glue that holds everything together. Kristen is excited to continue to grow her career with Precision Wellness, learning more and new ways she can add value to our company and clients. Kristen loves spending time with her daughter hiking, exploring outside and trying new plant-based dishes.